This is a time of partnership and shared caregiving with parents. 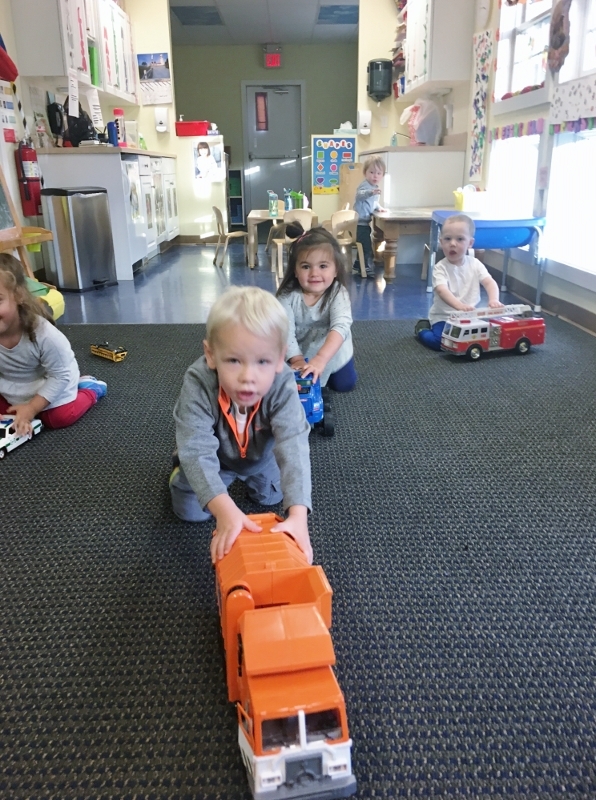 The Center provides a nurturing environment of warm, supportive, dependable adult contact where the infant can develop a sense of security and trust. Care is highly individualized, each infant having a primary caregiver, consistently available to interact, provide mobility, and access and respond immediately to the child’s needs. Through stimulation of all the senses early learning begins to take place. 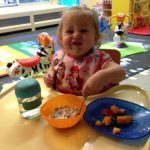 Secure in a foundation of trust, the toddler is able now to move towards a degree of independence and autonomy in a safe and caring environment. Personal self-help skills such as feeding, dressing and toileting are fostered according to individual readiness and in partnership with parents. 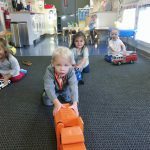 The development of social skills is enhanced by the provision of sufficient duplication of toys for comfortable parallel play in a group situation. Continuous attention is given to language development and stimulation through adult interaction, simple books and pictures, music, puzzles, large motor activity, and multi-sensory experience. Patient caregivers create opportunities for self-directed play, exploration, imitation and repetition that enable young children to experience a sense of autonomy and success. Breakfast, Lunch and snacks are served to all children who are on table foods.